This is a blog I was asked to write for http://www.robertsoncooper.com for their good day at work project , so I thought I would share it on our website. One of the wonderful things about creativity is that it is a subjective process, there is no right or wrong way to be creative; there is only an effective way for you to be creative! However, what is possible is to show people what effective models for creativity exist in the world and the invitation is: to explore and experiment with these models to see if it expands and enhances your map of creativity, trying them on to see if they work for you. 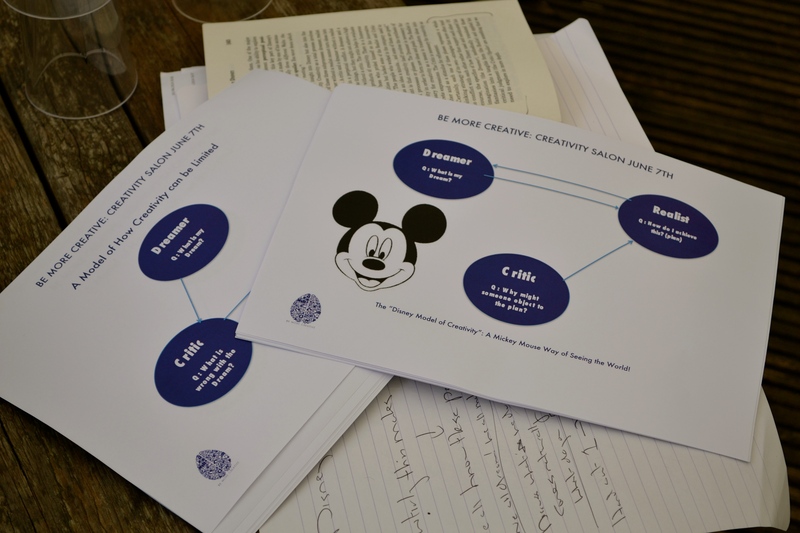 So, what can you learn from Mickey Mouse? Or more specifically, his creator, the genius that is Walt Disney. In his lifetime he built Disneyland and the initial stages of Disney World, at the same time as producing or executive producing 497 cartoons, 21 live animated features, 56 live-action movies, 7 “True Life adventures”, 330 hours of Mickey Mouse Club, 78 half hour Zorro shows and 330 hours of other TV shows. Whatever he may have been as a person (and he by all accounts was a “complicated” character) this is quite an achievement, and more importantly an amazing model for creativity. What I find fascinating is that he was truly hands on, he was involved in all aspects of the creative process, even up to 1946 being the voice of Mickey Mouse himself! One of the founders of the NLP (Neuro Linguistic Programming) field that I am part of is a fantastic modeler and developer, Robert Dilts. 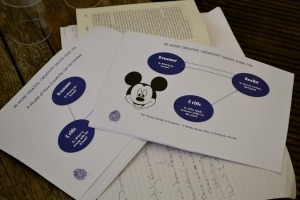 Robert spent time looking at how Disney achieved such amazing results, and developed with what is now known as the “Disney Model of Creativity”. Do you have a Dreamer inside of you? Do you have a part of you that makes plans (the Realist)? Do you have an inner Critic? And more importantly ask yourself: What is the relationship between these different parts? The Critic critcises the dream. The Dreamer and critic argue as the Dreamer feels hurt/insulted/crushed/annoyed that the dream has been criticised . The Critic feels that the Dreamer is unrealistic and away with the fairies. This goes back and forth for a while, until the Realist pipes up and says lets just do something! Time and again I see this relationship both inside peoples internal thoughts and in teams and organisations. With this way of relating it’s no wonder that creativity can be something of a struggle. 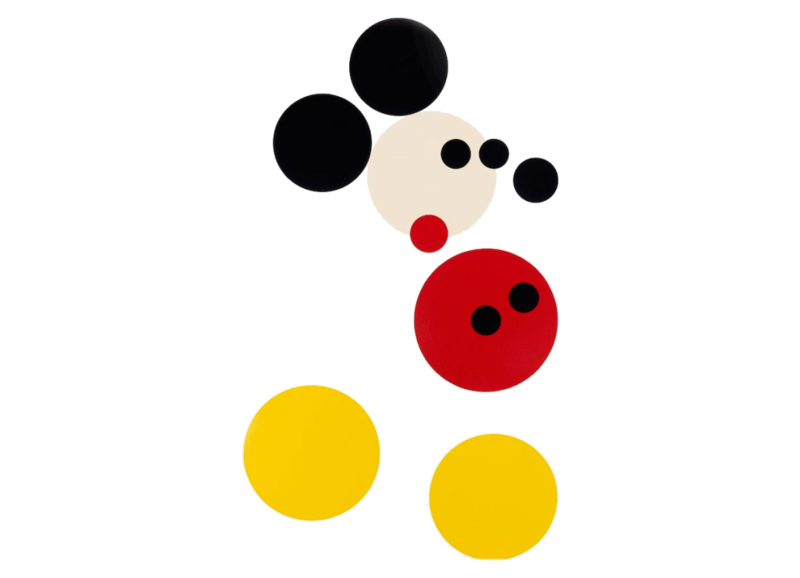 What would Mickey Mouse do? The Dreamer dreams the dream. Looking at the big picture, really going for it! The Realist asks the questions: How do I make this happen? What would be the first step? The Critic looks at the plan that the Realist has made and asks: “What could go wrong? As you can see the way of organising these different parts, be they internal in a person or external as personality types within a team, means that at no point is the dream itself criticised. Part of why this model works so well is that all the parts compliment each other instead of conflicting. The Dreamer is therefore free to do what they do best: Dream! Lastly The Dreamer will actually support the Critic by dreaming up solutions to any potential problem with the plan, again removing the potential for a back and forth skirmish with the Critic. This model is still very active in Disney/Pixar today known colloquially there as “Imagineering” Next time you see a Disney movie you will know how it made it up on the screen! So the next time you have a personal or team project, look at the various parts that are involved, and explore how they can achieve a new supportive complimentary relationship.